Class XII result is out now. St. Mary Gajraula once again done excellent. 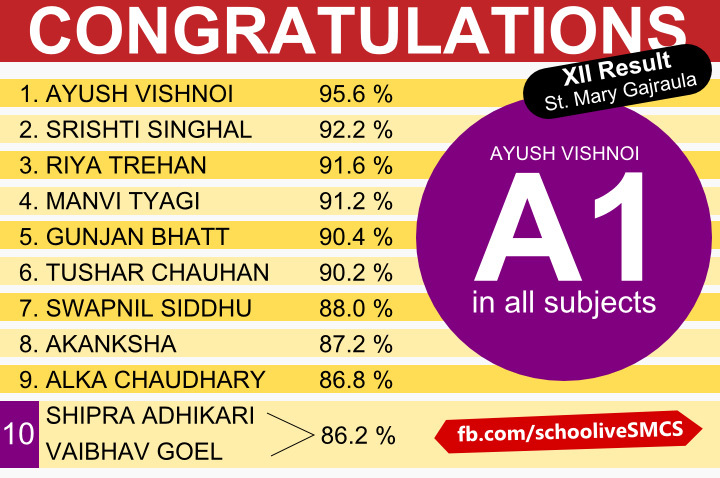 Six Students scored 90%+ marks. 10. Vaibhav Goel : 86.2%. कमबख्त स्कूल किड्स की कोई सुनता ही नहीं?